Sherry O�Brian is a psychotherapist who has assisted thousands of individuals through her workshops, groups, and private practice to transform their pain into possibility. 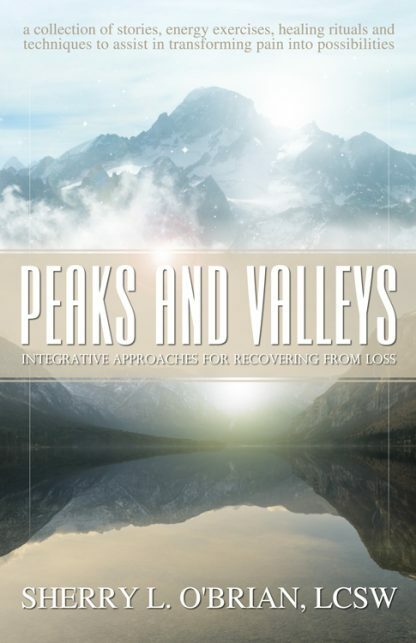 The inspiration behind Peaks and Valleys: Integrative Approaches for Recovering from Loss is her passion to provide a larger audience with these transformational tools. Sherry has also developed a meditation CD, Release and Transform Burden, a meditation to awaken the healing light within, as well as A Meditation to Transform Your Inner Critic to assist others with releasing emotional pain and transforming their lives.